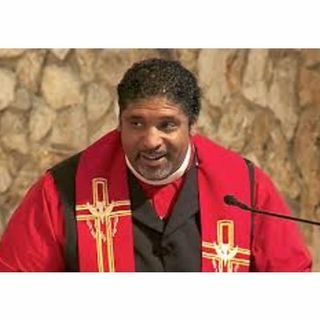 William J. Barber II is an American Protestant minister and political activist. He is a member of the national board of the National Association for the Advancement of Colored People and the chair of its Legislative Political Action Committee. The Rev. Dr. William J. Barber II is the President & Sr. Lecturer of Repairers of the Breach, Co-Chair of the Poor People’s Campaign: A National Call For Moral Revival; Bishop with the College of Affirming Bishops and Faith Leaders; Visiting ... Más informaciones Professor at Union Theological Seminary; Pastor of Greenleaf Christian Church, Disciples of Christ in Goldsboro, North Carolina, and the author of three books: Revive Us Again: Vision and Action in Moral Organizing; The Third Reconstruction: Moral Mondays, Fusion Politics, and The Rise of a New Justice Movement; and Forward Together: A Moral Message For The Nation.